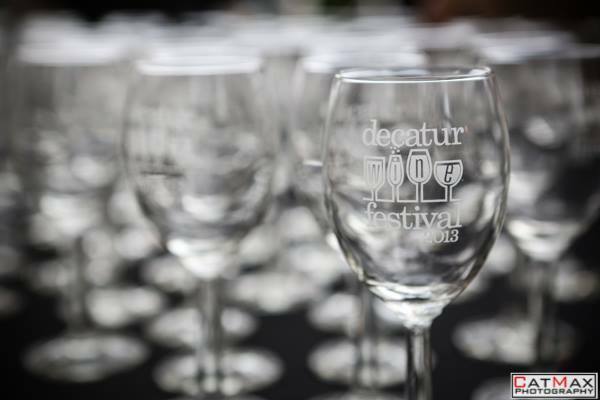 It’s time again for one of our favorite events: The Decatur Wine Festival! If you’re looking for a fun fall date, make a weekend of the Decatur Wine Festival and Art Walk. Put on your sweater and boots and head to Old Courthouse Square! Only on Friday, from 5-7pm local shops and restaurants stay open late for the gallery crawl! It’s free and open to the public! Rest up for Saturday, because from 12:30 through 4:30 there will be nearly 500 different wines to taste. The wines, many of which are local to Georgia, will be arranged on seventy tables by distributor and type. At each table you’ll find at least one “must-try” wine. In addition to wine, the festival will be catered by a number of Atlanta favorites including Harbour House Pub, Dos Madres Cantina and Jeni’s Splendid Ice Cream. The annual festival is Metro Atlanta’s largest outdoor wine festival and takes places one of the first weekends in November every year. Proceeds from the event go to the Decatur Arts Alliance which has offered the Decatur Arts Festival free to the community for more than 20 years. Spend your weekend embracing the Autumn, fine foods and drinks, and good company at the Decatur Wine Festival. Tickets are $40 per person and the event is 21+.